18 karat gold and solid sterling silver cuff bracelet by Elefteriu Jewellery. 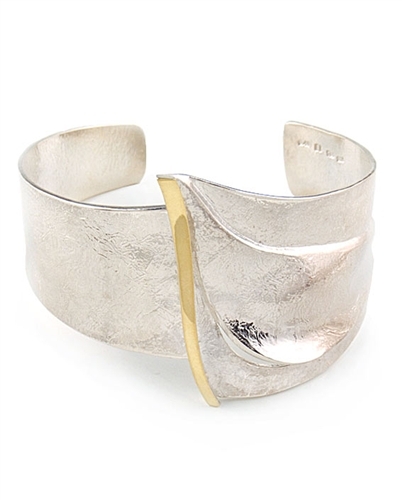 This striking designer bracelet features a sculptural shape realized in sterling silver and finished with a unique crinkled texture. An 18K gold line runs though the center of the bracelet. Bracelet measures 2.4" in diameter and the highest part measures 4.6cm (1.9").